Our professional staff includes Registered Professional Engineers, Land Surveyors and expeditors supported by in-house computer designers and drafters experienced in a wide range of projects. Peak Surveys, Inc. offers experienced, knowledgeable and professional staff to our clients desiring quality products and excellent one on one client services. Our number one goal is to complete your project on-time and within budget while ensuring ultimate success. Peak Surveys, Inc. has been engineering and designing projects from large multi-use commercial and residential developments to individual single family custom homes for over thirty years throughout Los Angeles and Ventura Counties. 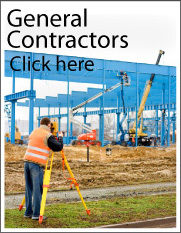 We are a full service civil engineering and land surveying firm offering the skill and professionalism needed to construct what ever you desire. Please contact our office to discuss your project and allow us to provide you with a custom proposal.